SIACHEN Warriors’ Brigade of Fire and Fury Corps on Saturday celebrated the 35th Siachen Day with traditional solemnity and reverence. Every year, the day honours all the Siachen Warriors who served their motherland while successfully thwarting evil designs of the enemy, over the years. 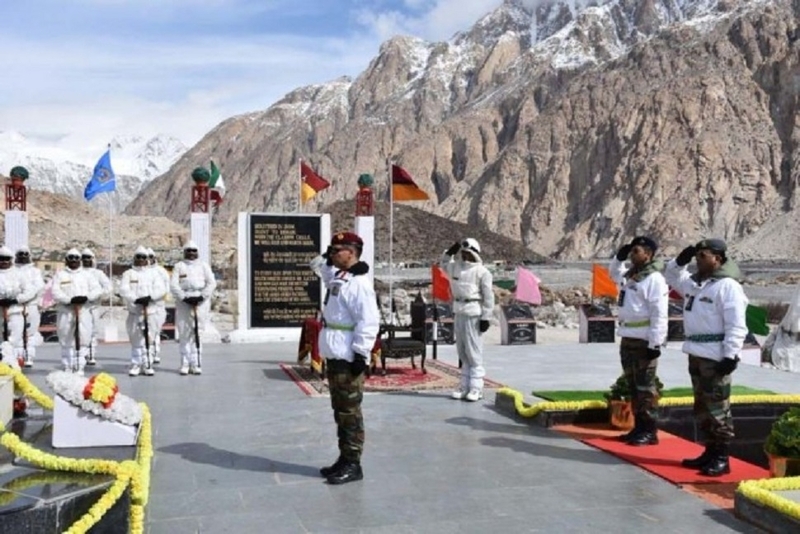 Brigadier Bhupesh Hada paid homage to the slain personnel at the Siachen War Memorial, in commemoration of the courage and fortitude displayed by troops of the Indian Army in securing the highest and coldest battlefield in the world. On this day in 1984, the Indian Army secured Bilafond La and other passes on the Saltoro Ridgeline, thus launching ‘Operation MEGHDOOT’. Since then, it has been a saga of courage and fortitude in the face of a belligerent enemy, arduous terrain and challenging climate conditions. To this day, the Siachen Warriors continue to guard the ‘Frozen Frontier’ with tenacity and resolve against all odds.